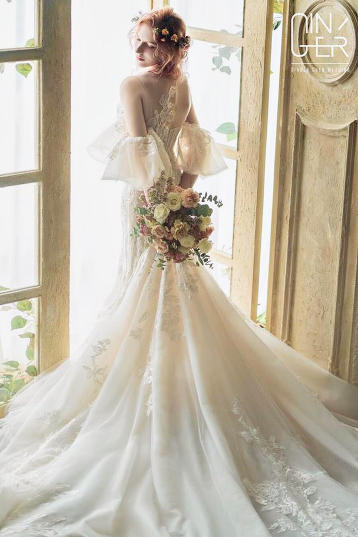 This off-the-shoulder wedding dress from Feliz Novia featuring exceedingly beautiful jewel embellishments will make you shine on the day! 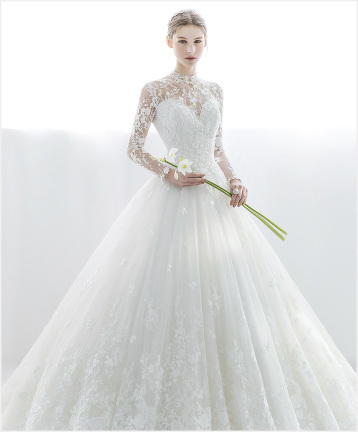 Utterly blown away by this statement caped gown from Bella Wedding Dress featuring sophisticated detailing. 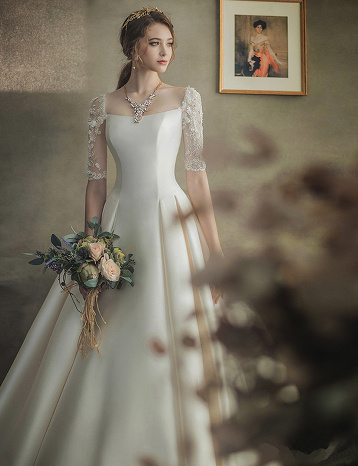 This classic wedding gown from Ray & Co. featuring lively floral embellishment is equal parts whimsy and elegance. 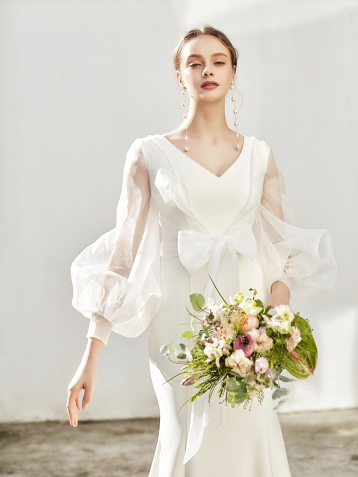 This wedding dress and cover up from Joshua Belle Bridal features a romantic, feminine spirit, blending tradition with a touch of sensuality. 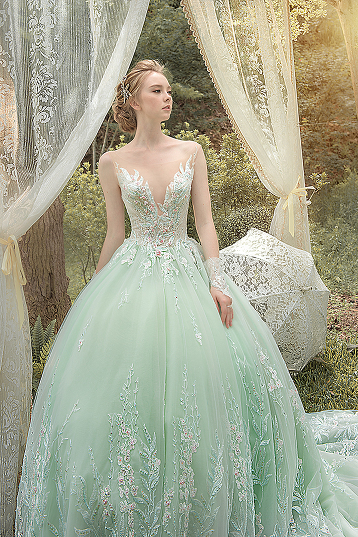 We cannot resist this refreshing green ball gown from Bella Wedding Dress featuring delicate floral embroideries! 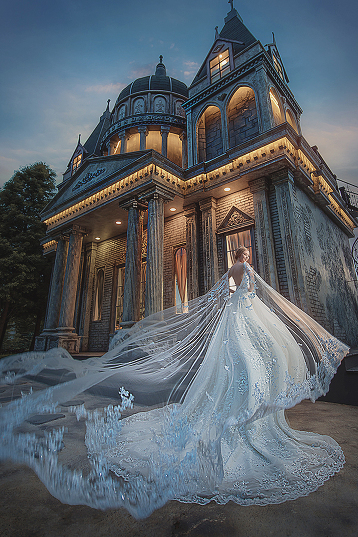 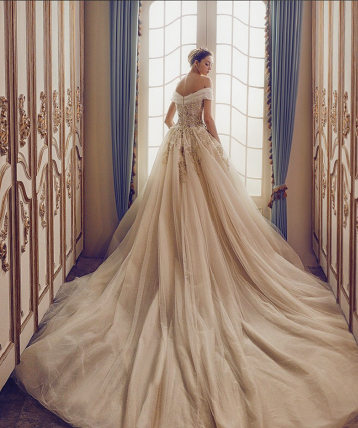 This embellished off-the-shoulder gown from Ginger Wedding featuring a dreamy long train is a show-stopper! 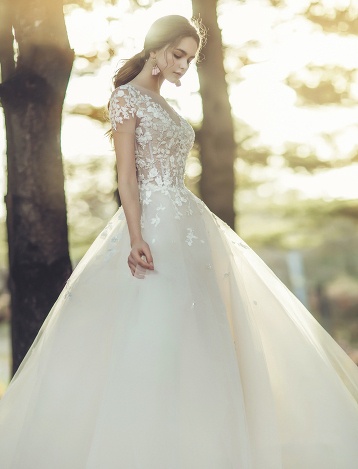 This romantic wedding gown from Feliz Novia featuring popping 3D floral appliqués is making our hearts dance! 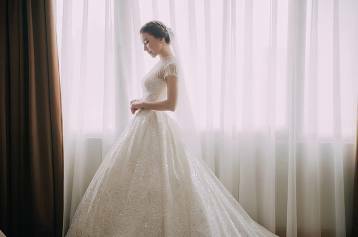 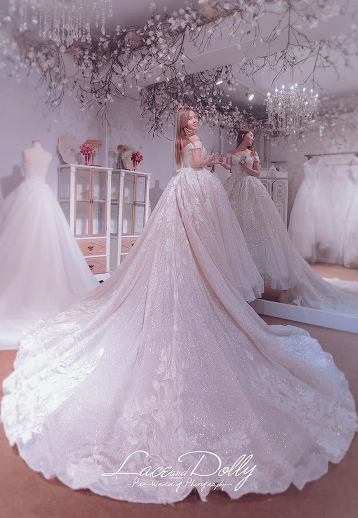 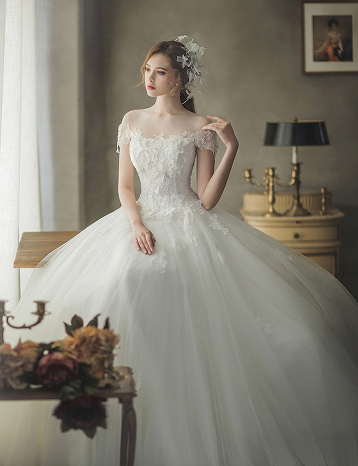 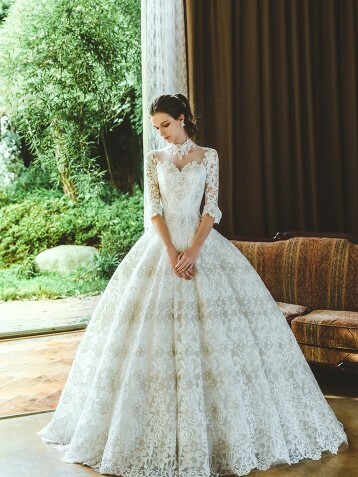 This classic wedding dress from Jenny Chou Wedding featuring delicate details is exceedingly beautiful! 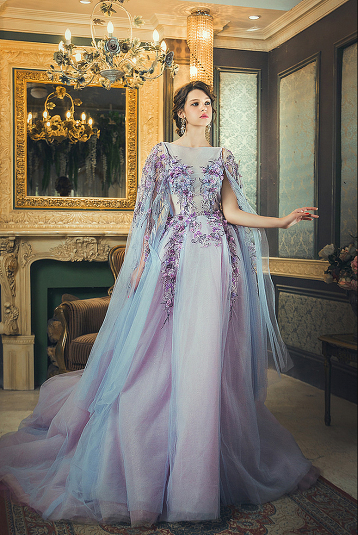 This sophisticated caped gown from Roman Rolan featuring dreamy color blend and exquisite floral embroideries is fit for a modern queen! 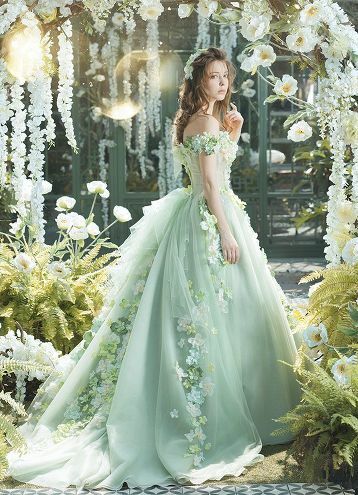 Utterly blown away by this refreshing green floral gown from Sophie Design! 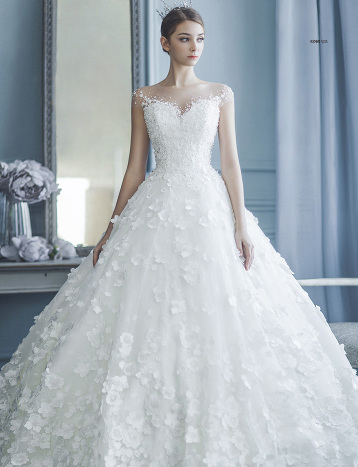 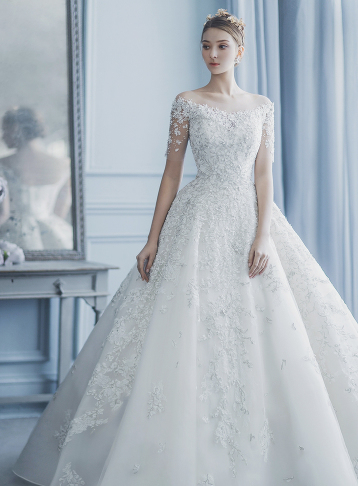 This off-the-shoulder wedding dress from J Sposa featuring beautiful floral appliques is fit for a modern princess! 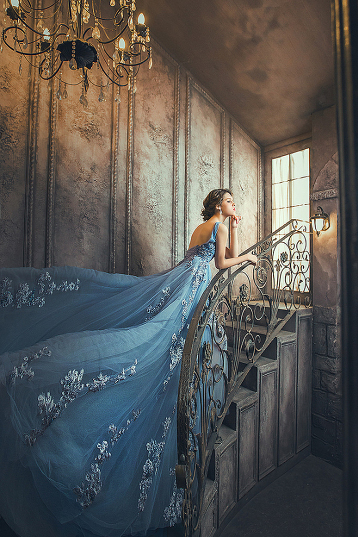 This sophisticated blue x grey gown from Hardy Amies London featuring floral embroideries is overflowing with fairy tale romance! 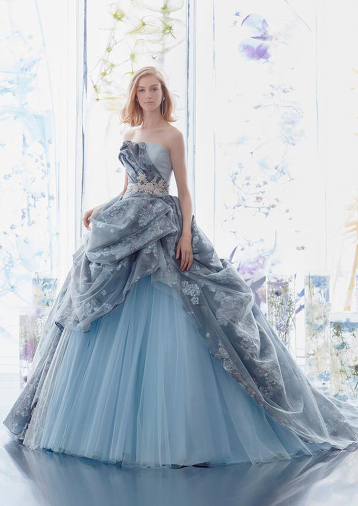 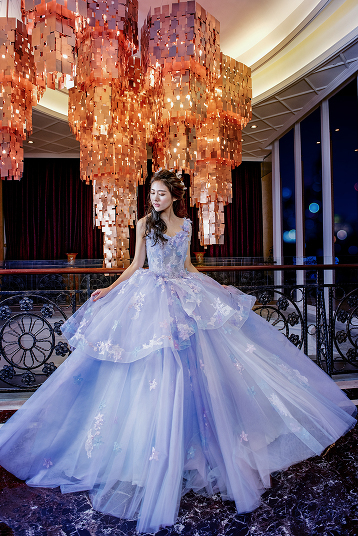 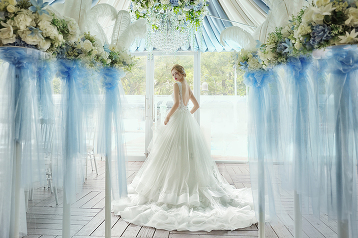 Matsuo Wedding is bringing us a magical starry night with this enchanted blue fairy tale gown! 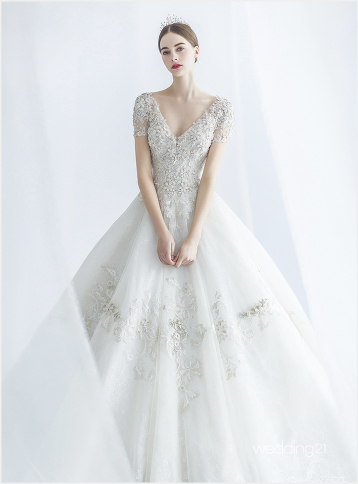 We’ve fallen in love with this romantic pink gown from Hardy Amies London featuring chic floral embroideries! 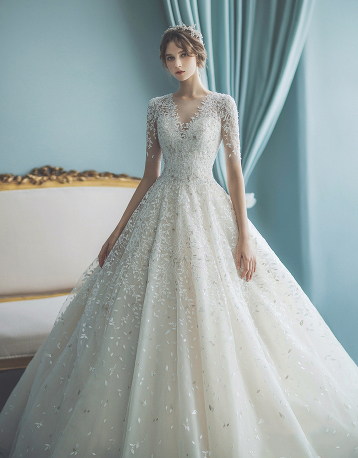 This long sleeved gown from J Sposa featuring sophisticated jewel embellishments and a high-neck design is an work of art! 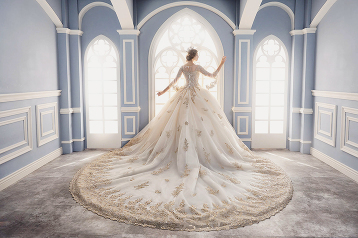 This statement gown from Royal Wed featuring golden embroideries will definitely make you the queen of the day! 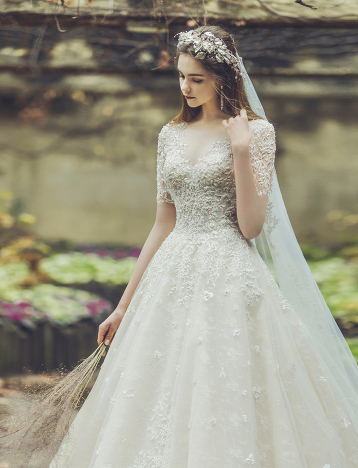 Utterly blown away by this pastel gown from Hardy Amies London featuring romantic floral embroideries! 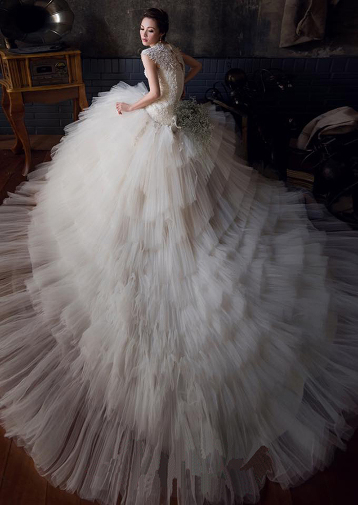 We’re officially obsessed with this fashion-forward gown from Ashi Studio! 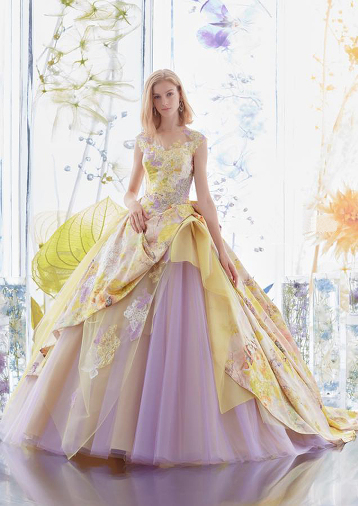 When baby yellow meets lavender, the result of this unique ball gown from Hardy Amies London is absolutely gorgeous!